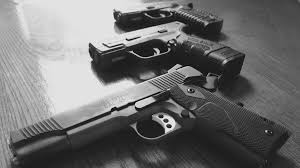 If you were to have an active shooter on your premises, are you prepared? Protection and safety must be the priority in an Active Shooter event or Terrorist Attack. The Fort Smith Regional Chamber of Commerce will be offering an "Active Shooter" training session on Wednesday, April 25, 2018. This is a 2-hour course that we hope you will never need, but will be glad that you attended in the event you are faced with this unfortunate situation. This class will be led by Corporal Anthony Rice from the Fort Smith Police Department and is based on the principles of ALICE. 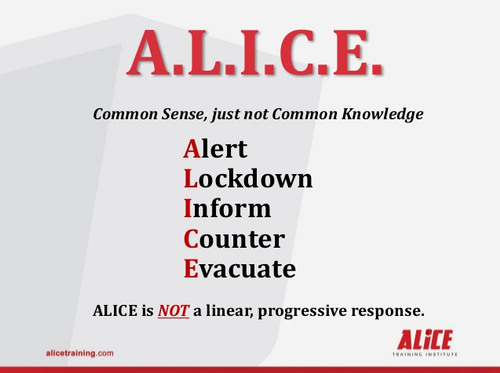 ALICE (Alert, Lockdown, Inform, Counter, Evacuate) classes provide preparation and a plan for individuals and organizations on how to more proactively handle the threat of an aggressive intruder or active shooter event. Whether it is an attack by an individual person or by an international group of professionals intent on conveying a political message through violence, ALICE Training option based tactics have become the accepted response, versus the traditional "lockdown only" approach.